Inadequate financing of early childhood education and other services for young children and their families creates challenges in low- and middle-income countries. How could improved policies mitigate these challenges? In 2016, the Results for Development Institute carried out research on this question for a background paper submitted to the International Commission on Financing Global Education Opportunity, also known as the Education Commission (Results for Development Institute, 2016). Globally, the evidence demonstrating the importance of investing in early childhood programmes is strong. Robust research shows that such investments result in fewer dropouts and higher learning achievement, and are associated with stronger economic growth (Dickens et al., 2006; Gertler et al., 2014). Returns on investment in young children are greater than at any other time in human development (Heckman, 2007). Despite these benefits, existing financing for early childhood development services falls severely short of providing high-quality services for all children. While countries across income levels under-invest in early childhood services, the challenge is particularly acute in low- and middle-income countries. While developed countries spent on average 0.5% of gross national product on pre- primary education in 2012, developing countries spent merely 0.07% of gross national product (UNESCO, 2015). In light of the enormous gaps in available financing, which affect the education sector more broadly, the Education Commission was convened to reinvigorate the case for investing in education and make recommendations for governments and international actors on how to increase investments. 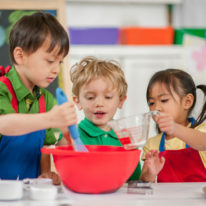 The Commission’s recent report underscored the importance of investments in young children, recommending that governments provide fee-free education for two years at the pre-primary level and through secondary education and, in particular, allocate public funding to lower levels of the education ladder (International Commission on Financing Global Education Opportunity, 2016). While the Commission’s recommendations are good news for young children and their families, a number of complex factors limit the financing available to make these recommendations a reality. They include lack of overall fiscal space, poor coordination among sectors during budget development, and being crowded out by investments in older children and adults. Endogenous to these challenges, though, are the often poorly developed and implemented policies that guide early childhood finance, which often further undercut already low resource mobilisation (Results for Development, 2016). Policies, including those guiding the budget cycle, can be difficult to interpret and often do not capture programme needs and objectives. In India, for example, the Integrated Child Development Scheme (ICDS) does not reach all children in all states as budgets are usually based on the number of existing beneficiaries, rather than the overall size of the target population. Although states have the scope to propose budgets based on targets, cumbersome budget templates often cause calculation errors and hinder states from accurately budgeting for targets (Directorate of Social Welfare and Social Education, 2012; Ministry of Women and Child Development, 2014). This leaves states with insufficient funds to expand to reach more children and families, even though this is an explicit objective of the programme. Furthermore, due to the multi- sectoral nature of early childhood development, unclear policies delineating responsibilities among varying ministries within a country can generate overlap and lead to inefficiencies in the allocation and utilisation of resources. In recent years, many governments have decentralised responsibility for financing and delivery of early childhood services. However, in many contexts, this policy change has not been accompanied by clear guarantees that lower levels of government will have the support and adequate resources to follow through on that responsibility. For example, Kenya’s Constitution of 2010 declared free and compulsory pre-primary education to be a right, with counties responsible for the delivery of the service. While this devolution of authority has given counties the space to explore different approaches to providing pre-primary education, the central government has not allocated any specific budget to counties for relevant programmes. This lack of dedicated resource support from the central government has challenged counties with limited resources to follow through on their responsibility to deliver pre-primary education, while also threatening to increase disparities between counties (Devercelli and Sayre, 2016). Policies that do not ensure monitoring mechanisms that support accountability generate challenges for programme delivery. For example, in Malawi, a community-based management system calls for communities to be involved in decision-making, particularly around procurement of materials for the operation of community-based childcare centres. However, in the absence of accountability mechanisms district assemblies fail to involve local communities, and procure materials without involving them (Ministry of Gender, Children and Social Welfare, 2016). "Policies that do not ensure monitoring mechanisms that support accountability generate challenges for programme delivery." 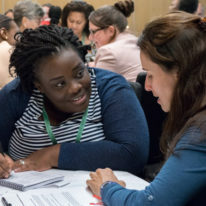 While the trade-offs that governments face around allocating limited resources may be slow to change, improving policies that guide financing for early childhood services could mitigate some of the challenges experienced in low- and middle-income countries. The following are a few considerations for governments as they think about ways to improve the policies that guide financing. Streamline the budget process and base budgets on clear criteria that relate to need. To meet current and future requirements, budgets for early childhood services should be developed using clear targets and corresponding unit cost estimates for all eligible participants, rather than only enough to cater for the service’s existing beneficiaries. In Indonesia for example, central-level budgets use explicit criteria to determine spending: the government considers the number of children to be served by schools, school construction or renovation projects, and any other education materials required (Denboba et al., 2015). Coordinate policy planning, including budgeting, among departments and providers. Early childhood development programmes include a number of services in the education, health, nutrition, social protection, child protection, and water, sanitation, and hygiene (WASH) sectors. In most countries, multiple agencies and actors are involved in funding and financing these programmes. 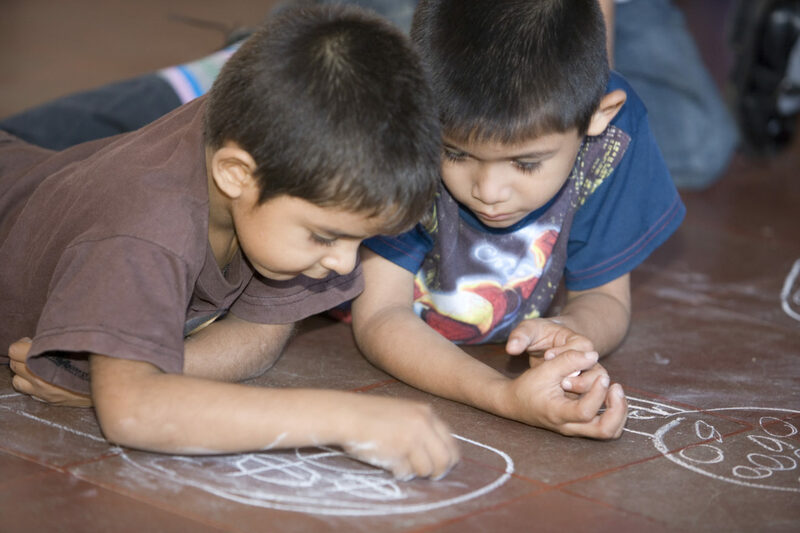 In Chile, the Ministry of Social Development takes on the role of coordinating the entire Chile Crece Contigo system, which has minimised coordination challenges across the various sectors (Castillo, 2014). Multi-sectoral policy planning should be encouraged at the top levels of government to assure efficiency, coordination, accountability, and alignment across financing streams. the funds to ensure a minimum level of funding per child enrolled (Evans and Kosec, 2012). In South Africa, support was provided by the central government in phases as financing for Grade R became the responsibility of provincial governments (Biersteker, 2010). Decentralisation can also stretch the capacity of local governments who may not be as experienced in implementing large- scale programmes for young children. In Indonesia, for example, communities were better able to utilise funds from block grants for early childhood when they were given some guidance on how to use the funds (Sardjunani et al., 2006). Create mechanisms for accountability. When responsibilities are shared among different levels of government and community actors, there is a need for stronger accountability mechanisms. Policies crafted via multi-stakeholder consultations that require service providers to track and report funding flows are one potential mechanism to improve accountability. For example, in an effort to promote accountability, local government units in the Philippines are required to document in detail how funds are used for child development centres (Republic of the Philippines Commission on Audit, 2015). In Chile, municipalities sign framework agreements with central authorities which create accountability for usage of funds (Berlinski and Schady, 2015). Results-based financing approaches can also improve accountability. 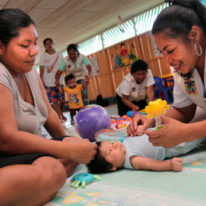 For example, in Peru, a results-based budgeting approach, whereby the distribution of resources is tied to the achievement of certain targets or outcomes, is used to finance Cuna Más, a nationally scaled-up childcare and home visiting programme (MEF, MIMP, MIDIS, MCLCP and UNICEF, 2014). While changing the landscape for early childhood development financing is a long-term endeavour, the Education Commission’s call to countries and international actors to increase investments in early childhood is a major win for young children and families. However, as countries and international actors look to increase their financial commitments, governments should not forget to focus efforts on improving policies so that they enhance and do not undercut available resources for programme implementation. 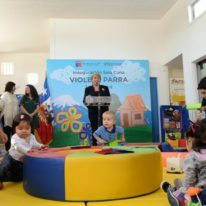 "In recent years, many governments have decentralised responsibility for financing and delivery of early childhood services."